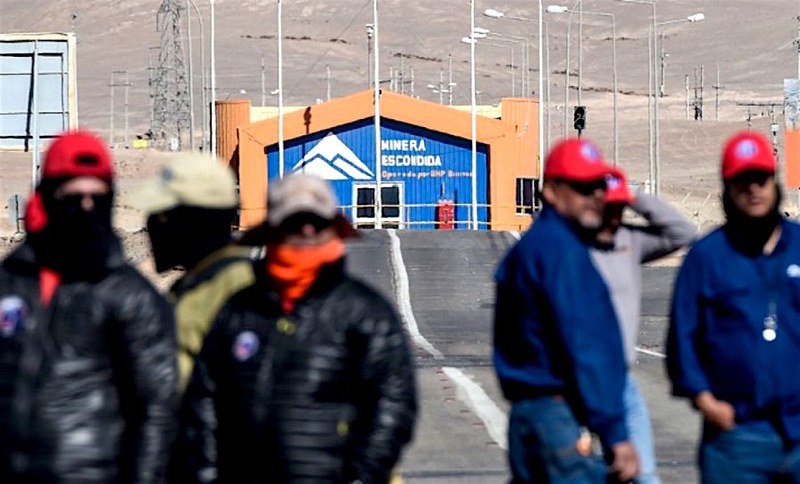 The Chilean government asked both workers and management at BHP’s (ASX, NYSE:BHP) Escondida copper mine, the world’s largest, to put an end to the labour conflict they have been dragging for months now and that needs to be resolved before a 30-month contract expires on July 24. Speaking to local media, Finance Minister Felipe Larraín said an agreement must be reached soon to avoid a strike and, therefore, a negative effect in the Chilean economy. Larraín said he understands the process is going to take time and he added that the most important thing is that both sides are open to talking. The possibility of a strike was talked about over the weekend, when the 2,500-worker union rejected the BHP’s latest offer because it excludes two of their main demands: a 5 per cent increase in salaries and a one-time bonus equivalent to 4 per cent of dividends distributed to shareholders in 2017, or between approximately $34,000 and $40,000 per worker. Instead, the company offered them other bonuses, a $23,900 loan and extended benefits. In an interview with Radio Cooperativa, the union’s spokesman, Carlos Allendes, said that the company is not listening to them and that management’s proposal is deceiving. In his view, the bonuses proposed by BHP only masks already existing benefits. The Australian giant asked the union to provide an answer by July 17 so that the new collective contract can be signed before the deadline and a strike can be avoided. Back in 2017, the global copper market was jolted after workers at Escondida downed their tools for 44 days.